New research* commissioned by ASSA ABLOY forecasts continued strong growth in European holiday rentals. From a base of €23.28bn (US$ 26.247bn) in 2016, SAC Insight data suggests the market will be worth €32.5bn (US$ 36.642bn) by 2023. Compound annual growth is forecasted at 5.8% — a rate not often sustained in a mature travel industry sector. European travellers essentially invented the holiday rental. Modern landmarks include the launches of Gîtes de France in 1951 and Interhome in Switzerland in 1965. More recently, Owners Direct (now part of Expedia) and HolidayLettings (now Tripadvisor-owned) pre-date FlipKey, HomeAway and Airbnb by nearly a decade. The names of Europe’s holiday rental top-5 by booking volume are all familiar — Airbnb, Tripadvisor, Wyndham, HomeAway and Wimdu. Yet between them, they account for less than 10% of the total market. Almost 90% of holiday rentals revenue in Europe is generated by non-global players, including small or medium-sized agencies and homeowners who market their property directly. Travel and sharing economy giants can “personalise” their offering by investing in technology, marketing and SEO. But at the smaller scale (i.e. 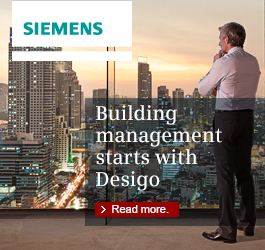 most of the market), personalising means better, more tailored service. Renting smarter apartments benefits everyone in the chain, and will be increasingly important as smart home technologies gain consumer traction. After all, the “home from home” feeling is a holiday rental’s major advantage over a hotel or hostel. From an owner’s perspective, smart door locks are a major upgrade on mechanical security. With keys, there’s always a risk of loss, unauthorised copying, or even lending to unregistered guests. Without visiting the property in person, there’s no way to know your guests have locked up properly. High-end properties make an attractive target for thieves. With a smart door lock, a property owner can issue or revoke keys whenever they like. It’s also simple to check remotely whether the front door is open or locked. In short, with a smart door lock fitted, a property is more secure. Agents and holiday rental service companies benefit, too. With no more lost keys, there’s no need to waste time and money getting spares cut. 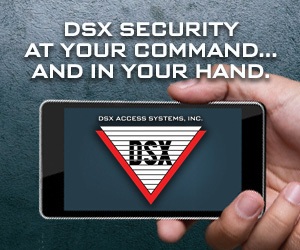 Late check-ins can be accommodated by opening the front door remotely or sending a valid digital key. So, flight or travel problems don’t set off a chain of service delays affecting other guests arriving on the same day. When guests have departed, smart door locks make it easy to admit cleaners, repair teams and other service providers — and to track how long they stay. A smart door lock saves time and money. Investing in smart home technology gives travellers confidence the property owner or agent takes service seriously. Key handling can be a big worry for travellers. With a smart door lock, they never get locked out. A PIN code or smartphone app is all they need to open the door, so there’s no need to carry keys or worry about losing them. With a smart door lock, it’s easier for everyone in a large group to come and go as they please, because each guest can have their own temporary digital key. Business travel guests — a fast-growing segment — love the seamless service that smart door locks enable. Our research* with homeowners who rent direct suggests 50% of enquiries come via person-to-person marketing, including repeat business, personal recommendation and other referrals. The convenience of a smart door lock directly impacts this positive feedback loop. Personal marketing like this is especially important for rentals booked offline — currently about 70% of the market. Also worth remembering for landlords who use Airbnb: from 2017, to qualify for Business Travel Ready status, travellers must be able to check-in without a person-to-person key handover. A smart door lock is the most secure and user-friendly way for landlords to offer this. Business travel will be a major growth area for Airbnb**. Key handling is not just a landlord’s problem. It is a major worry for guests, too. With a smart door lock, they never get locked out. A PIN code or smartphone app is all they need to open the door, so there’s no need to carry keys or worry about losing them. With a smart lock, it’s easier for everyone in a large group to come and go as they please, because each guest can have their own temporary key. In Italy, Home at Hotel have already seen the benefit of installing a smart door lock on their boutique holiday rentals in Milan, Rome and Cagliari. Properties are secured with an ENTR® smart door lock from Yale and integrated with the user-friendly SCLAK (www.sclak.com) app-powered access system. Plus, with ENTR® from Yale, Home at Hotel is entrusting its clients to a lock brand with decades of history securing homes and offices all over Europe. The outcome? Home at Hotel apartments fitted with an ENTR® smart lock receive, on average, a 9/10 customer satisfaction rating — and average occupancy is running at 80%. 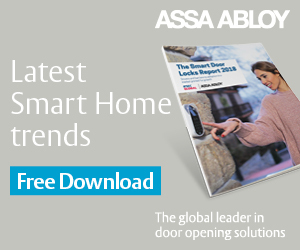 A new 8-page report from ASSA ABLOY — “Europe’s holiday rentals market” — is packed with more exclusive data and charts, plus expert insight on the booming European holiday rentals sector and how smart door locks can help you serve it better. To download it for free, visit www.assaabloy.co.uk/smartholidayrental.